Obtenez le livre Ghosts of the Tsunami: Death and Life in Japan’s Disaster Zone par Richard Lloyd Parry au format PDF ou EPUB. Vous pouvez lire des livres en ligne ou les enregistrer sur vos appareils. Tous les livres sont disponibles au téléchargement sans avoir à dépenser de l'argent. On 11 March 2011, a massive earthquake sent a 120-foot-high tsunami smashing into the coast of north-east Japan. By the time the sea retreated, more than 18,500 people had been crushed, burned to death, or drowned. It was Japan’s greatest single loss of life since the atomic bombing of Nagasaki. It set off a national crisis, and the meltdown of a nuclear power plant. And even after the immediate emergency had abated, the trauma of the disaster continued to express itself in bizarre and mysterious ways. Richard Lloyd Parry, an award-winning foreign correspondent, lived through the earthquake in Tokyo, and spent six years reporting from the disaster zone. There he encountered stories of ghosts and hauntings. He met a priest who performed exorcisms on people possessed by the spirits of the dead. And he found himself drawn back again and again to a village which had suffered the greatest loss of all, a community tormented by unbearable mysteries of its own. What really happened to the local children as they waited in the school playground in the moments before the tsunami? Why did their teachers not evacuate them to safety? And why was the unbearable truth being so stubbornly covered up? 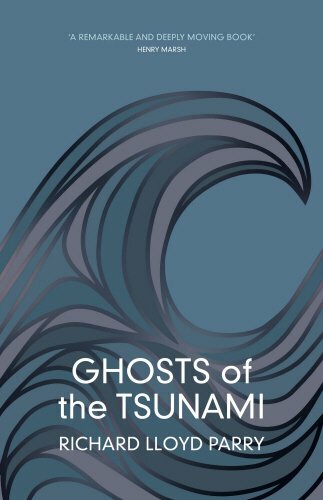 Ghosts of the Tsunami is a classic of literary non-fiction, a heart-breaking and intimate account of an epic tragedy, told through the personal accounts of those who lived through it. It tells the story of how a nation faced a catastrophe, and the bleak struggle to find consolation in the ruins. Richard Lloyd Parry is Asia Editor of The Times. He was born in 1969 and was educated at Oxford. He has been visiting Asia for eighteen years and since 1995 has lived in Tokyo as a foreign correspondent, first for the Independent and now for The Times. He has reported from twenty-one countries and several wars, including Iraq, Afghanistan, Indonesia, East Timor, North Korea, Papua New Guinea, Vietnam, Kosovo and Macedonia. His work has also appeared in the London Review of Books and the New York Times Magazine. He is the author of In The Time of Madness, an eyewitness account of the violence that interrupted in Indonesia in the 1990s, and People Who Eat Darkness: The Fate of Lucie Blackman.